Double Layer Jumpsuit - £56 // Fern Print Culotte - £36 // Stripe Jumpsuit - £59 // Fan Floral Midi Dress - £39 // Wide Stripe Midi Dress - £56 // Linen Check Trousers - £39 - all Warehouse. Once upon a time, I'd be using time off work wisely, you know to sit around and watch rubbish on tv, see friends etc etc. Cue the last week being off work and using that time to attempt to tackle my wardrobes. I'd rather not say how many bags of clothes have been donated (good for charity, not for the realisation on how many clothes I own). However I'm now in a place where I am happy with my "non work wear" clothing, but on the other hand, my "work" wardrobe needs to be updated. As I work between two offices, one which is like a sauna in this weather and the other which is sub zero temperatures due to the air con, my wardrobe needs to be versatile for either climate. If you are looking for work wear my first port of call has to be Warehouse. Normally I'd associate a jumpsuit with nights out, but also for those who are much shorter than 5'10". However since having a personal shopping session, where I actually tried on some jumpsuits and they didn't cut my body in half. Whilst picking up a parcel in my local Outfit, the Warehouse section is right next to the tills and time and time again, I stand and look at the clothes. However I've made the effort to go into store and pick up a few pieces for work - some of which you may see on here in the near future. When it comes to clothes purchasing now, I'm trying to buy more pieces which can be worn during the day (both work and on off days). Both dresses and trousers are normally the easy way to go - they can be dressed up with a leather jacket and heels, or throw on a denim jacket for a more casual look. The same can be said for jumpsuits - I've seen people in the office wearing them, so if they can do it, I can do it. 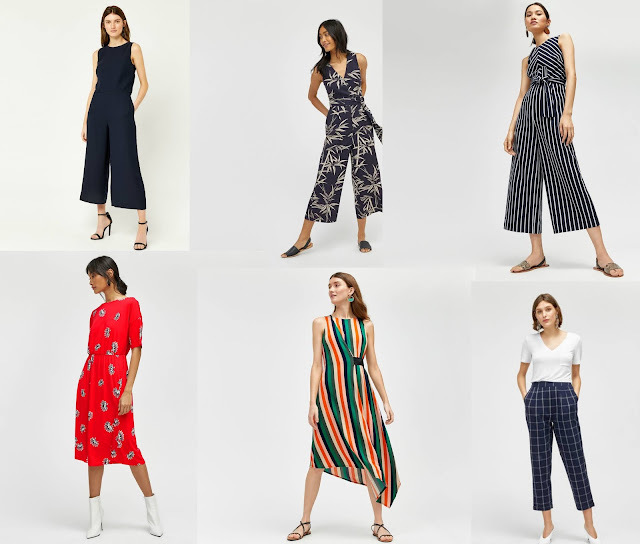 The only thing is with me being so tall, I'd rather wear culotte style jumpsuits as I think they are more flattering on me. Finally, if you are ever on the Warehouse website, they do have a shop the Instagram feature too where you can see how other normal people style their clothing. The easiest way to get some style inspiration. Plus if you tag yourself in any of your outfits, who knows you could be on their website too, giving lots of inspiration to others.